Grey was definitely the hottest leather color of 2016 and shows no sign of slowing down! Headed to Alberta Canada (yes we ship to Canada!) 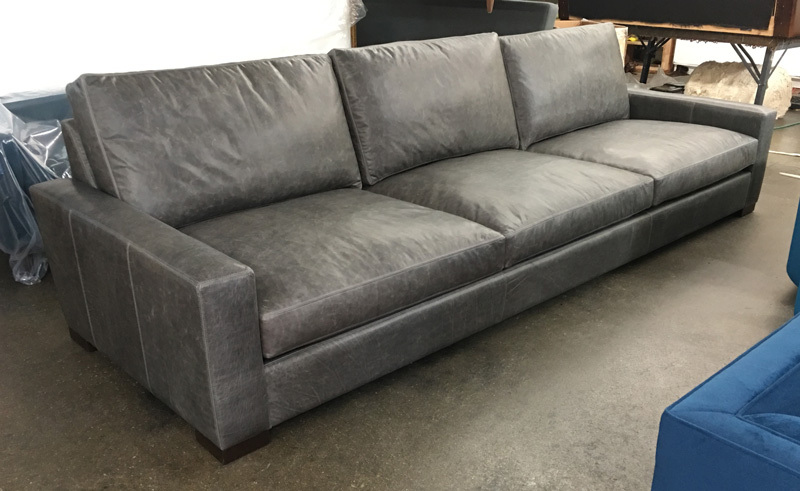 this Braxton Leather Sofa was made 132″ long and 46″ deep. We upholstered this one in Italian Berkshire Pewter leather. Berkshire is made using what are essentially Brompton hides, but Berkshire goes through one more step of being tumbled in drums to soften the leather. This results in a more matte finish, and a softer feel, with all of the natural characteristics and distressing that people love about Italian Brompton Leather. This customer opted for our Heavy Gauge Sinuous Spring Suspension. We offer customers a choice between True 8-way hand tied and Heavy Gauge Sinuous Spring Suspension on our built to order products made in the USA. 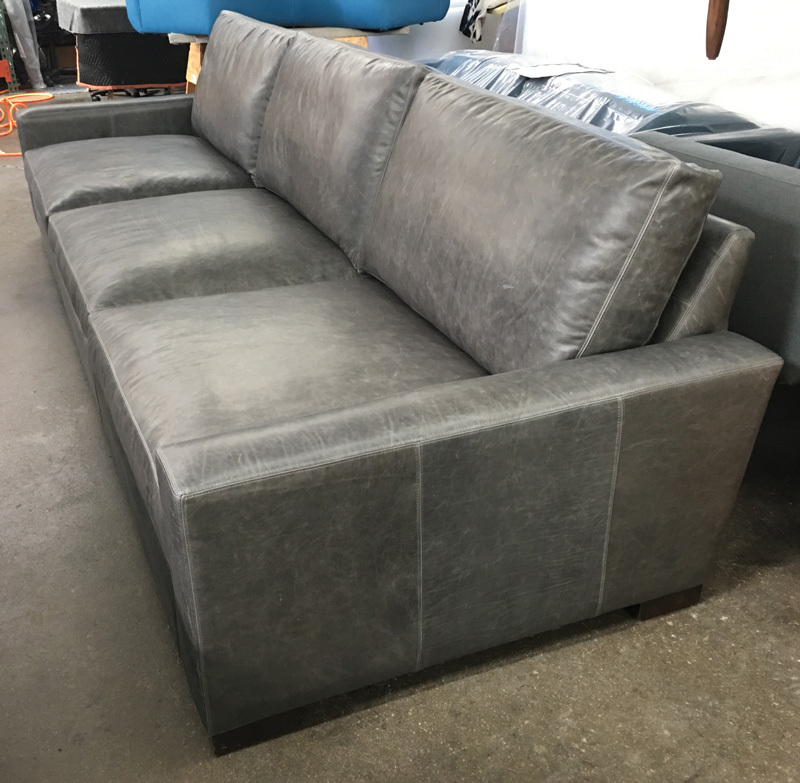 This entry was posted in Braxton, Custom Leather Order Feed and tagged 46" Deep, Berkshire Pewter, braxton collection, braxton leather sofa, full grain leather, Italian Berkshire Leather, italian Berkshire Pewter, maxwell leather collection, maxwell leather sofa, No Ears on February 28, 2017 by LeatherGroups.